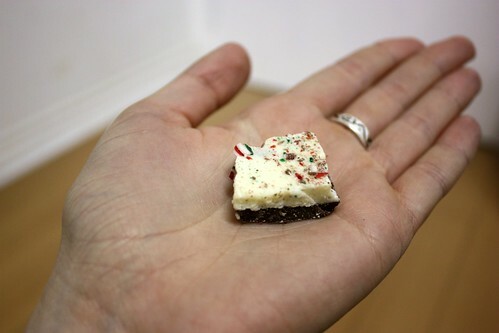 Every Christmas my family makes delicious Peppermint Bark. Its something I look forward to every year, so when my sister came up with the idea of giving it away this year on gifts, I was on board. 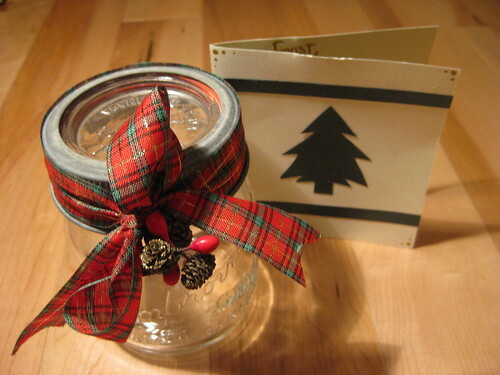 She found small glass jars, decorated them up and made handwritten cards with the recipe inside (with the leftover materials from last year’s Holiday cards). 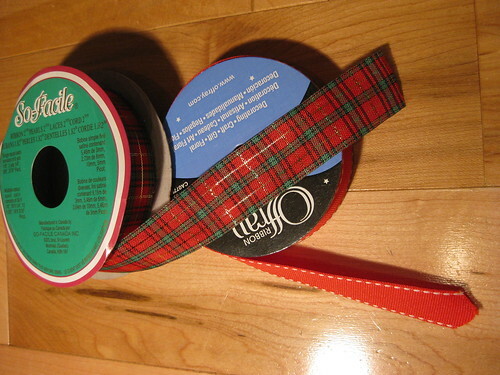 The ribbon was picked up on clearance at a local craft store. I like to check out the sales at the end of every year and pick up amazing post-Christmas deals. We have plenty of little vintage wired pinecones at my parents’ place, which made for adorable additions to the ribbon bows. I decided to use a candy cane on my bows, which made for a nice little extra treat. 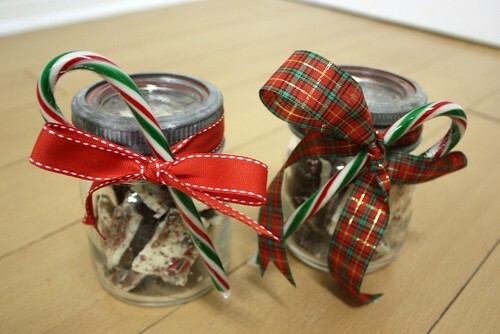 This is a simple homemade gift that cost less than $8 for each gift including the chocolate, ribbon and jars. 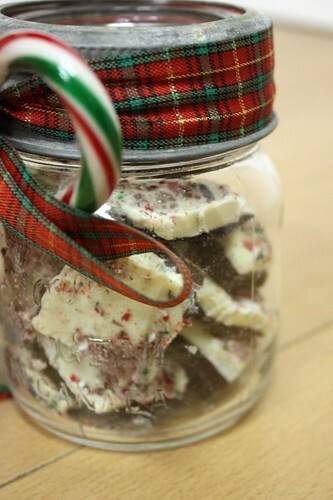 Each batch of Peppermint Bark makes approximately four gifts. 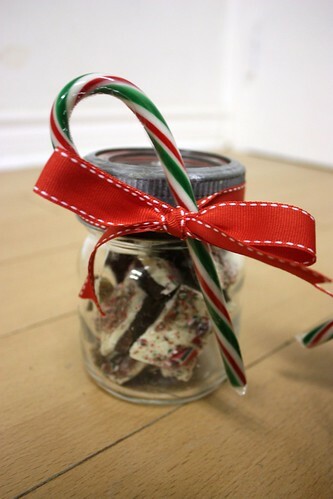 A sweet Christmas treat, with a personal touch. Brilliant!!! I love this idea. Thank you. oh how I love homemade gifts.. these so adorable! 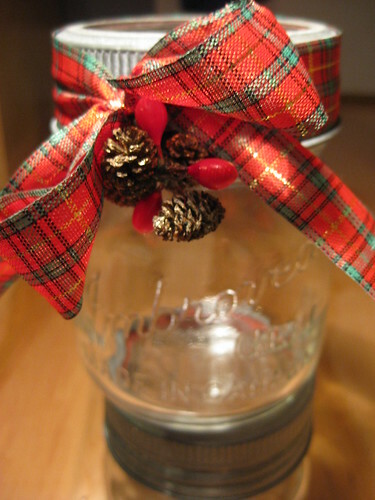 I too may have to look into this… I am trying to make lots of homemade gifts this year since we just bought the house! Merry Christmas!